Wireless networks, also known as Wi-Fi networks, can come in very handy, especially if you have a laptop or several computers in the same house, because they allow a computer to connect to the Internet without having to resort to bothersome cables. One of the few dangers of Wi-Fi networks is that it's possible for somebody to use them without your permission, and to be able to detect these cases of intruders, there is nothing better than using Wireless Watch. Thanks to this small program you will be able to know at any moment which computers, peripherals and other mobile devices are connected to a specific Wi-Fi network. 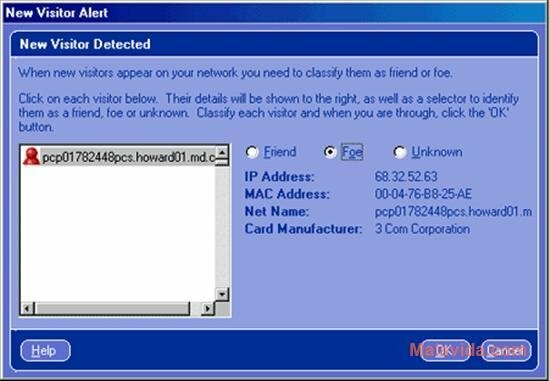 When the program is launched for the first time, it will detect the computer's IP and MAC address, and then it will provide the user with a full list of all the computers and devices that are currently connected to the same network, as well as all the important data about them. With the information provided by Wireless Watch you'll be able to know if the computers and devices that are connected are yours, or if on the other hand you have an intruder. But to make things even better, Wireless Watch will automatically notify you when a new computer connects to the Wi-Fi. Therefore, if you want to know if someone is taking advantage of your Wi-Fi network without you knowing, download and install Wireless Watch. Doesn't run on Windows 7. The trial version has certain limitations.